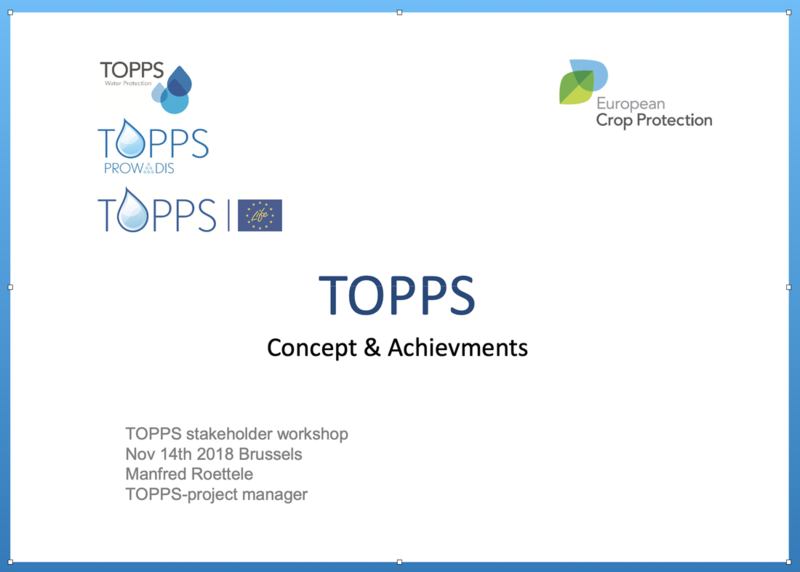 TOPPS partners and stakeholders celebrated the thirteen's TOPPS anniversary in a stakeholder workshop on the 14th November 2018 in Brussels. 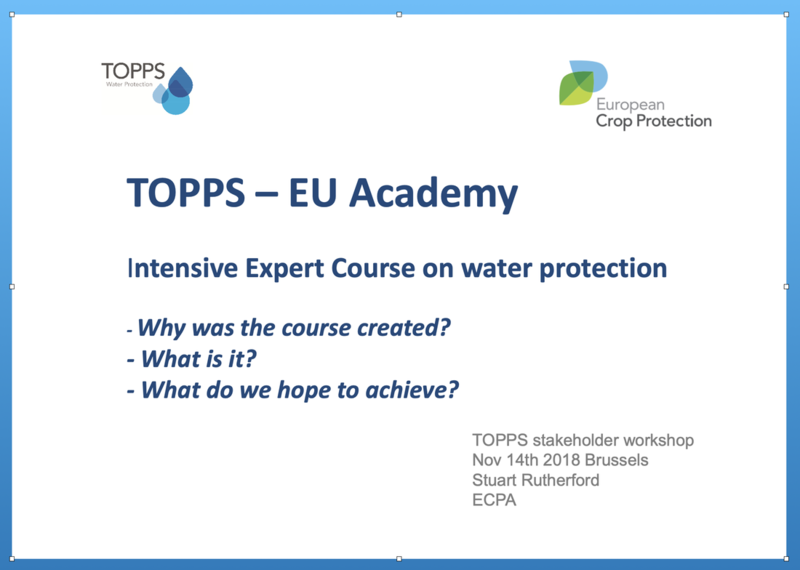 TOPPS started in November 2005 as a three year co-funded project between the EU-Commission’s Life Program and ECPA . 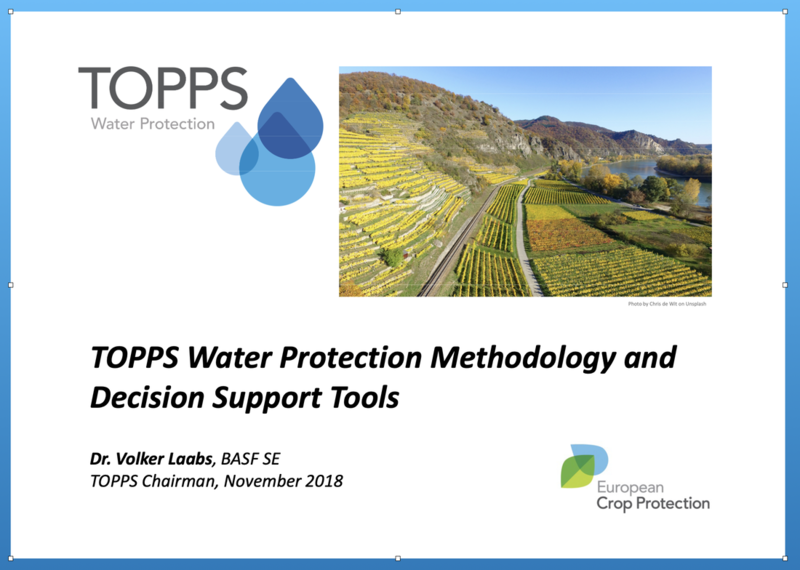 First focus was to develop and disseminate Best Management Practices (BMPs) to reduce Plant Protection Product (PPP) losses to water from point sources. 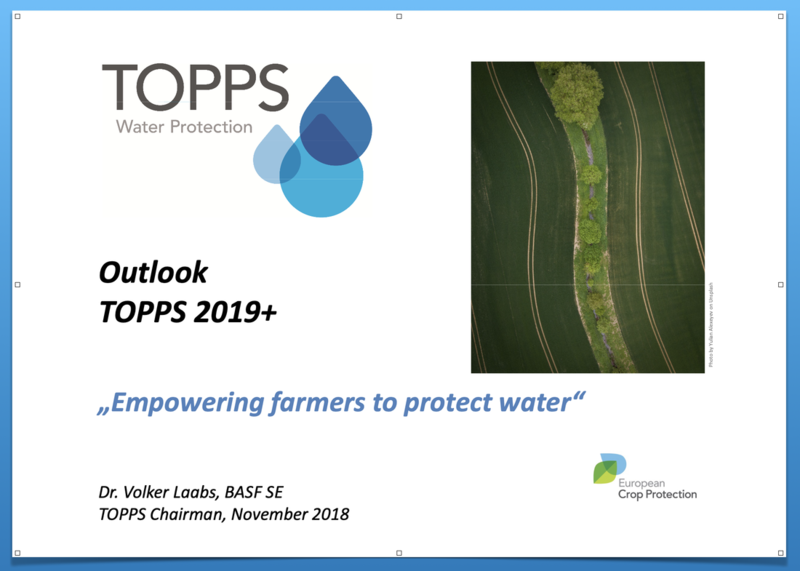 Up to now TOPPS project work was done in 23 European countries and the TOPPS - BMPs cover now all main entry routes of PPP into water. Questions? Contact our project manager! 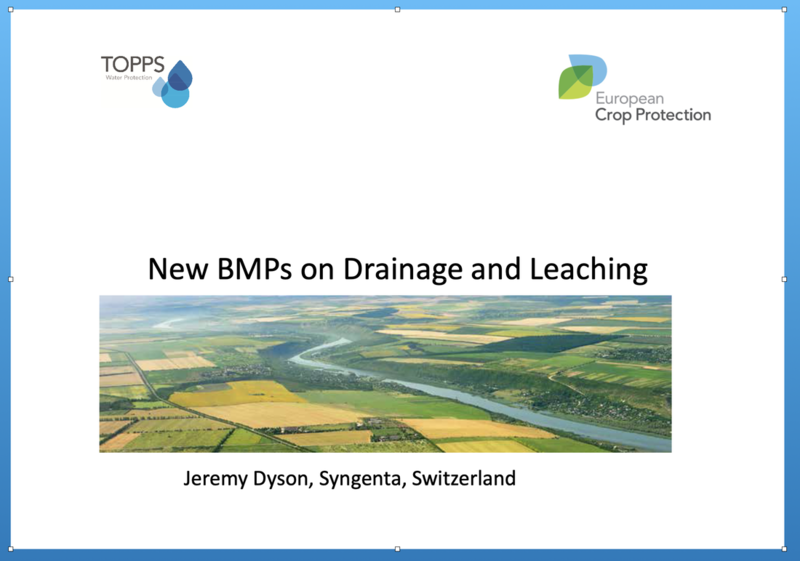 Develop Best Management Practices (BMPs) to reduce the risk of pesticies (PPPs - Plant Protection Products) entering water in Europe. 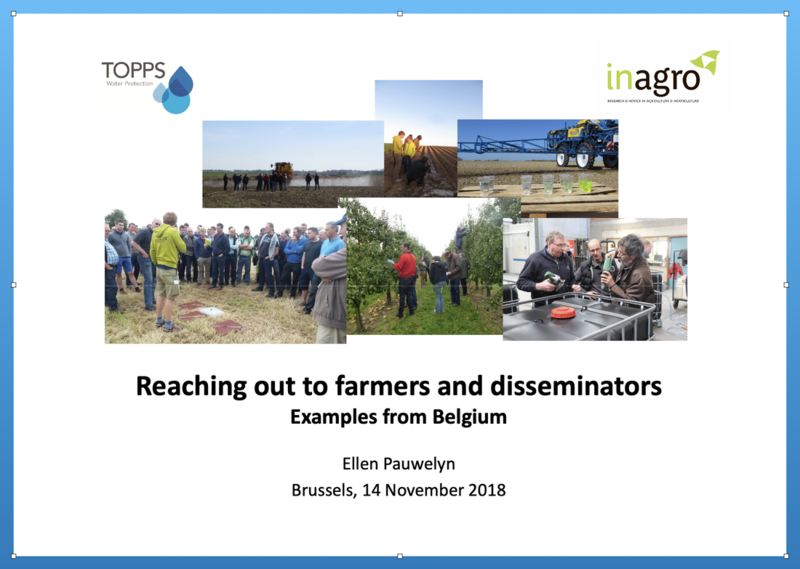 Develop information and tools for risk diagnosis and provide materials to be used for presentations and training courses to support dissemination of BMPs. 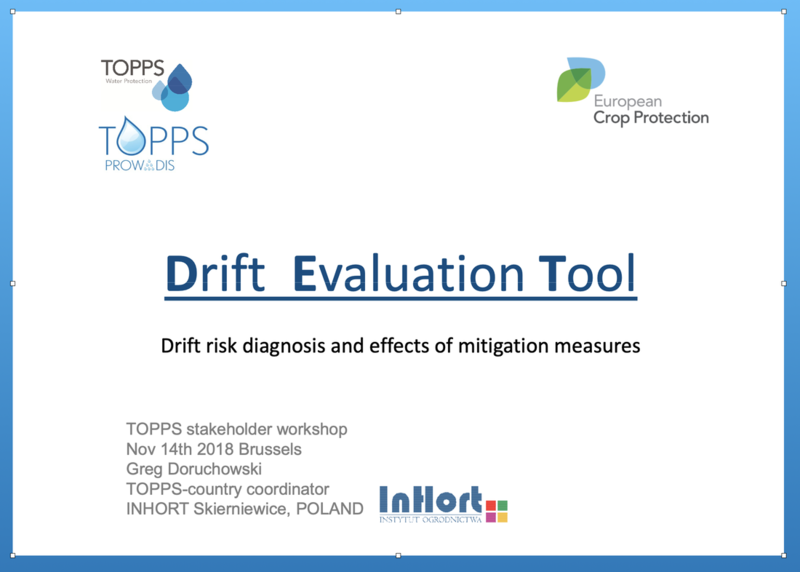 This approach helps ensure broad consensus on recommended measures (BMPs) by considering local aspects from the start, and delivers a range of risk reduction methodologies which can be used in a toolbox approach.